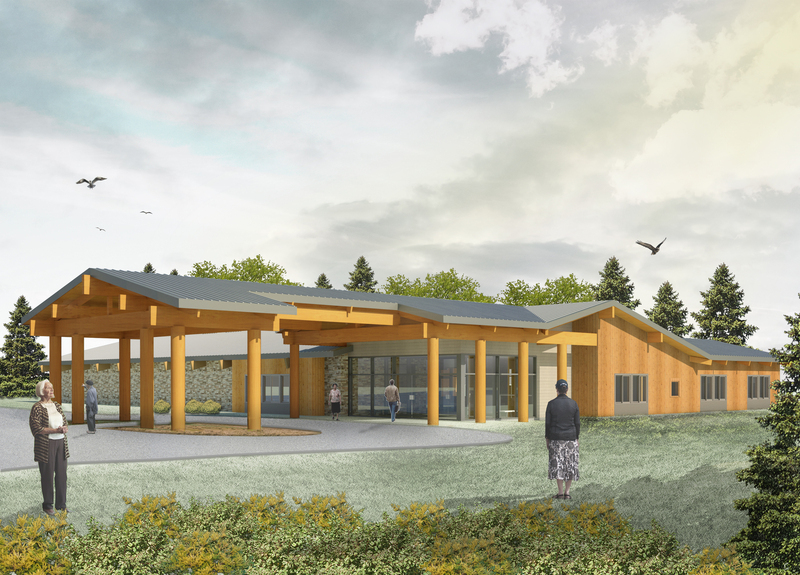 An important design consideration for the Chehalis Elders was the siting of the building. 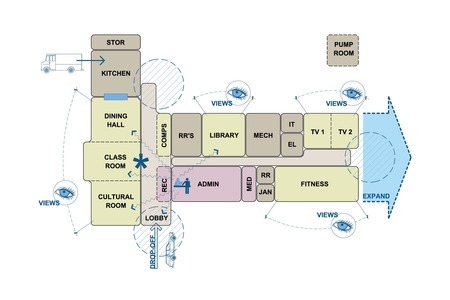 ARC Architects analyzed several sites and site connections, and the preferred location sets the building along the road-edge of a 20 acre site. 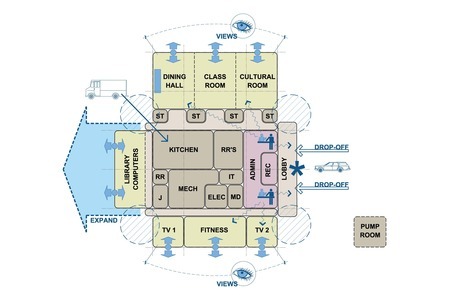 Issues of visibility, security and access to the Wellness Center drove the location, along with an added consideration to preserve other areas of the site for future Elder Housing and a future Tribal Administration Center. Access to both future projects was considered in the Elder Center site placement. The site has a natural beauty that the design strives to enhance through the placement of the building, parking and landscaping. It is important to the Elders to have natural sunlight in the New Elders Center and to have a sunny patio, sheltered from the elements, and connecting to the main dining room. An accessible walking path meanders through the courtyard, gardens and surrounding forest areas and includes possible connections to future Elder Housing. 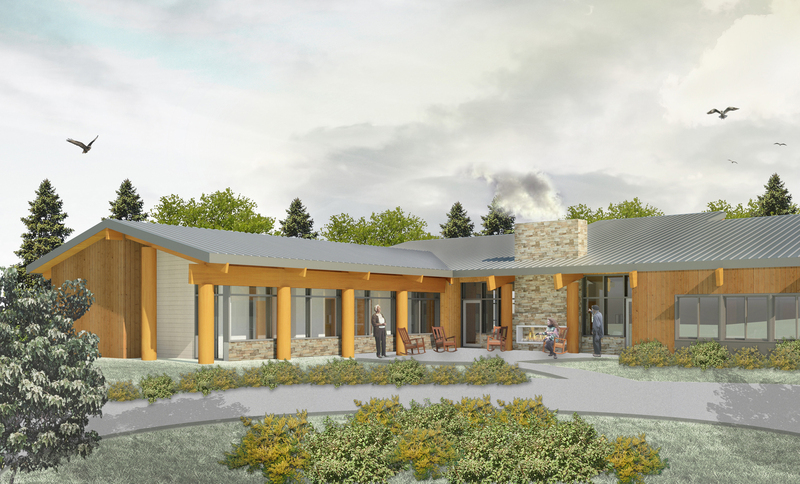 This new facility will provide a welcome place for Elders to gather together, share meals, create art and music, celebrate their history, and support each other.